Synopsis from Goodreads: Sometimes I feel like everyone else was handed a copy of the rules for life and mine got lost. The State of Grace is a really fun and quick read which looks at what it means to 'fit in' through the eyes of Grace, who has Asperger's and sees the world somewhat differently to other people. This is the first book that I've read about someone with an Autism Spectrum Disorder and to read something from a first person perspective was really interesting. 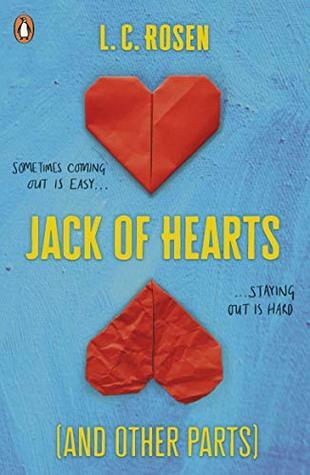 It reveals a bit about what life with Asperger's must be like while also making clear that at the end of the day Grace is still just a teenager girl who's trying to learn how to fit in whilst still being herself. Grace finds herself going through a lot of changes both through the development of her relationship with Gabe and when her mum starts acting like An Idiot™️ while her dad is away for work (Side note: I understood her actions kind of but she just really bugged me a lot, but she was meant to I think). Grace has a lot of stuff going on and the book is all about her trying to muddle through a lot of difficult situations while learning who she is. She is a really well written and complex character who I thoroughly enjoyed getting to know! The State of Grace also has a beautiful strong female friendship which I am ALWAYS a fan of! Grace's best friend Anna is the friend I always try to be, she's funny and supportive and loves Grace for who she is. Also I loved the relationship between Grace and her horse Mabel! The way that Grace feels loved and understood by her is wonderful and it's just really lovely ahh. However there were a couple of things with this book that bugged me slightly. I feel like there were a lot of questions that I would have appreciated a more detailed answer too, I can't say exactly for fear of spoilers but one example is this thing that happens with her sister which I feel wasn't fully explained and I personally would have loved to find out how as a family they develop and move forward from it. The other thing is that some of the relatively major characters I feel didn't receive much description. For example, I don't feel like I really got to know Gabe very much at all, and because Grace is such a complex and beautifully written characters it's such a shame that I don't feel like I got to know the others! I think this is likely to be due to the short length of the book and personally I would have loved an extra 50 pages to allow for more detailed exploration the other characters are. I want to make it clear that I really loved The State of Grace and as ASD's need so much more rep than they're currently getting I think it's a super important one to add to your TBR! But I wouldn't be doing my 'job' if I didn't say I thought it was lacking a little something- but the case here is that the extra detail would have made it a 10/10 for me rather than an 8 and I still thought it was amazing - so read it!! 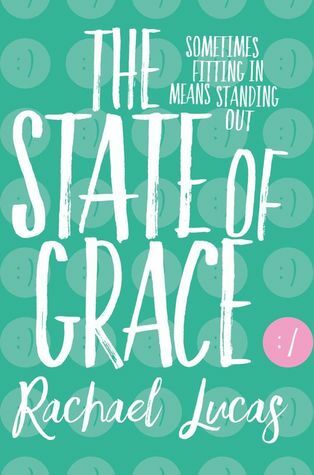 Basically, The State of Grace is a really quick, interesting and beautiful book which gives a bit of an insight into what life with Asperger's may be like and you should definitely add it to your TBR. Have you read The State of Grace? What were your thoughts on it? Let me know in a comment below!